Welcome to National Travel, Lubbock's largest vacation store! 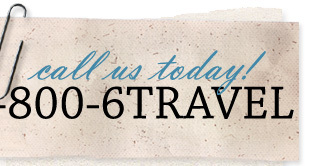 We are a full-service travel agency with clientele throughout Texas and the United States. We are conveniently located at Quaker and the Loop in Lubbock, and are open Monday through Friday to assist you and your family in all aspects of travel. We offer honeymoons, airline tickets, hotels, cruises, tours, car rental, group travel, sports travel and much more. We use only the best cruise lines and tour companies to help ensure your vacation is perfect! Our highly qualified and professional staff is always ready to help you plan your dream vacation, no matter how large or small. In addition to our vacation planning, we also offer business and corporate travel. Come by and visit us to see why we have been consistently named "Best Travel Agency" in Lubbock by readers of the Lubbock Avalanche-Journal. We build memories, one vacation at a time! The CDC warns people who are or may become pregnant and their partners to avoid several countries in Africa, Asia, the Caribbean, Central America, the Pacific Islands, and South America as well as Mexico. Zika causes severe birth defects and pregnancy complications; it is recommended for both parents to delay conceiving for 6 months after either contracts Zika. Other countries beyond those listed here may pose a Zika risk; please contact your travel agent for up-to-date information. All of us at National Travel would like to thank you for voting us Best Travel Agency in the Lubbock Avalanche-Journal Best of Lubbock Awards for nine years running! We're proud to be Lubbock's most trusted travel agency, and we can't wait to help you build your next unforgettable trip. any day of the week after hours.